The Public Gallery is a 2m x 3.5m street-facing gallery, featuring art that explores issues of social justice and anti-oppression. We believe that art should be accessible — created and enjoyed by everybody, — and inspire change. The gallery can be viewed anytime from Lansdowne Ave. at Seaforth in Toronto. In Solidarity with Parkdale Legal Services! One of our community’s most vitally important organizations, Parkdale Legal, is facing eviction, as the landlord and developer market the site to creative professionals. 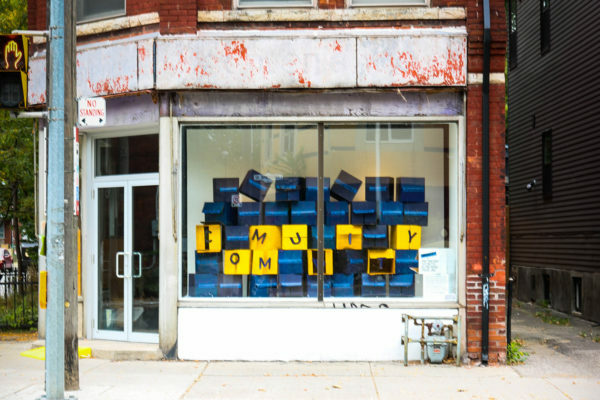 As a community arts practice here in Parkdale, we call on our fellow artists and designers to examine our role in this displacement, and to critically reflect on processes of gentrification through intersectional, abolitionist and decolonial lenses. The Public Gallery is one of the many ways we seek to re-imagine how the celebration and showcasing of local and marginalized artists can happen. The gallery allows us to create room to redefine who gets to call themselves an “artist” and blur the lines between art, design, and community practice. Our gallery is not funded, and run solely from the profit of our other work, so we also try to create reciprocal relationships through skills exchanges, like supporting artists in the design and set up of their exhibits, concept development, and writing artist statements. The gallery provides accessible entry points into creating, showing, and viewing art, and it shows how art doesn’t need to be intentionally difficult to understand to be thoughtful and critical. The gallery also invites us to constantly create access in multiple ways, whether it’s by supporting artists through the creative process of their work, providing viewers with plain language hand-outs that explain our exhibits, or engaging in dialogue at our artist community events. We program the gallery with the understanding that any work that’s shown in a community needs to be able to be read by people in that community. We’re often reflecting on the site-specificity of our space -- a gallery window in Parkdale, on Indigenous land, across from a school, at a bus stop, etc. -- and in these ways, we challenge the conventional role and relationship of a gallery to its surrounding community. Our gallery is also one of our favourite ways of community engagement. We love building capacity with artists to run community engagement and popular education workshops that in turn deepens the connection between their artwork and the community. What time is this place? 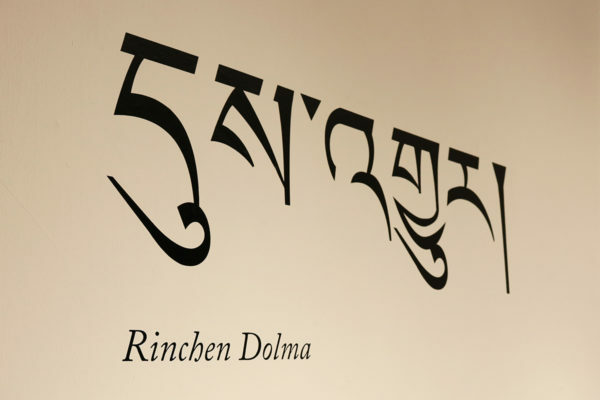 by Rinchen Dolma is a visual documentation of her family’s migration from Tibet and her community’s experience of displacement. By capturing the significance of place and time in her life, we begin to visualize the epochs of her ancestral journeys. 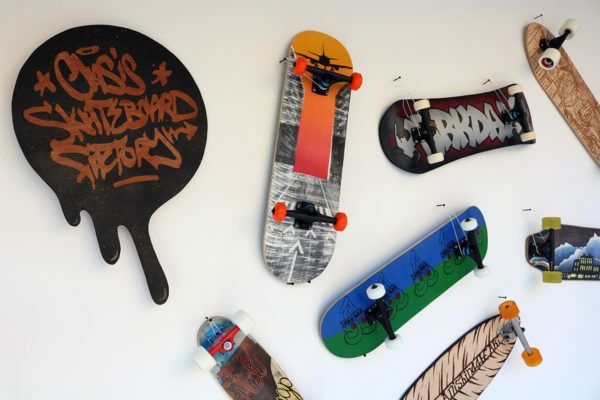 Parkdale Push is an exhibit that features a series of custom-designed skateboards, created by the students of Oasis Skateboard Factory, highlighting some key aspects in Parkdale. An exhibit that explores the theme of shame by members of the Shameless Magazine Youth Advisory Board, Artists Arina Moiseychenko, Alex Newton, Kai Trotz-Motayne, and Caroline Wang.